And the pigs walk by on stilts, and the cabs all lock their doors. If tomorrow never comes I wouldn’t care at all. Three years after the acclaimed HURTSVILLE and a move from the inner city of Sydney, Australia to the Blue Mountains, Jack Ladder returns with his new album Playmates. The album is produced by Kim Moyes of The Presets, and mixed by David Wrench (Jungle, FKA Twigs, Caribou, Seekae). The Dreamlanders - Kirin J. Callinan (whose own album Embracism was released last year on Terrible / XL) Laurence Pike (of PVT) and Donny Benet – reunite to play on the record, with Sharon Van Etten contributing vocals to two tracks. 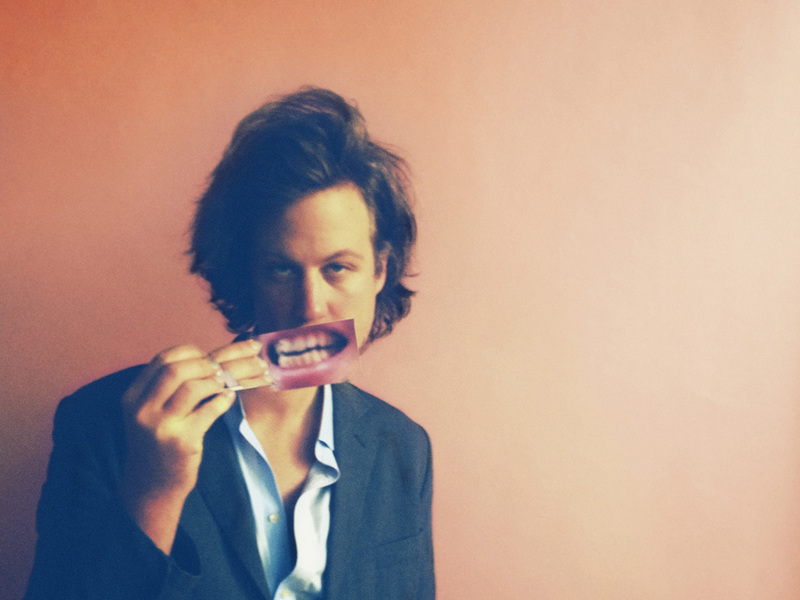 Playmates will be Jack Ladder’s fourth album, and his first on Fat Possum. His previous two albums (2008′s Love Is Gone and 2011′s HURTSVILLE) were shortlisted for the Australian Music Prize. It’s been a long journey to this point, and Playmates finds Jack Ladder at a creative apex, moving on from the darker roads into the curious, bold komische synthesizers which backlight Playmates. Ladder’s latest work cogently recalls a time when albums were made to the parameters of the encroaching technology of the compact disc. But this album is where songs take precedence over an idea. Playmates songs are muscular, raw – yet polished to the texture of a skyscraper. The lyrics themselves are haunting; they possess the poetic slur of a black-pupilled vision of romantic despair, love’s unsure footing and a palpable air of Ballardian discord beneath the surface. The songs pulse with life. Synthesizers and drum machines rub shoulders with glam guitars and pedal steel, while above all, Ladder’s granite baritone slashes at love and darkness like a heavy blade. He is a tender, persistent lover; a despairing prince at the battlements. Playmates breadth of ideas, its sinister anxiety-dream lyrics and particular vision of the world offer us as complete a view of this unfathomable Jack Ladder character as we are ever likely to observe in this dimension.